"In the name of Jesus Christ the Nazorean"
The apostle Peter not only heals, in the name of Jesus, the man crippled from birth, but he confirms to the people that it is by no power or piety of his own, but by the power of the name of Jesus that the healing takes place. And Jesus himself in today's Gospel tells the disciples on the road to Emmaus that it is in his name, the crucified and risen Christ, that repentance for the forgiveness of sins is to be preached. The Church responds: "O Lord, our God, how wonderful your name in all the earth!" 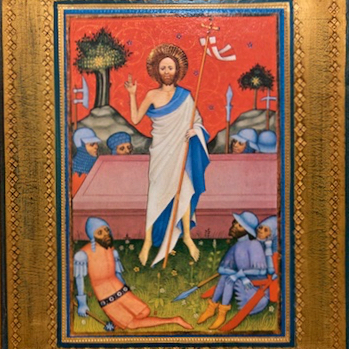 The Church continues to proclaim the Resurrection of Jesus, who in the first hours of his new life bears testimony to his Father. As the principal witness to the Resurrection, the apostle Peter proclaims also its fruits, which are repentance, Baptism, the forgiveness of sins and the gift of the Holy Spirit. 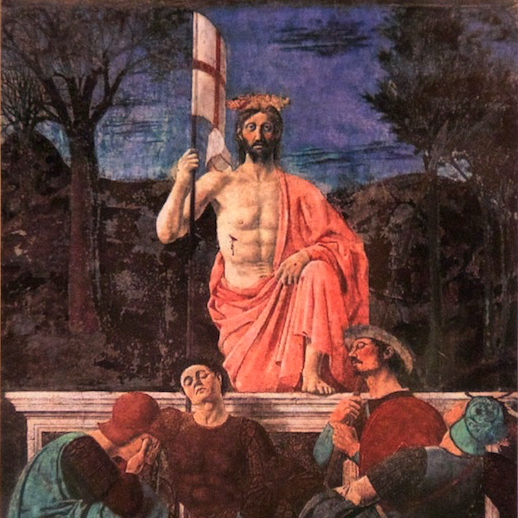 In our liturgy we acclaim The Risen Christ alive in our midst and we offer God praise and thanksgiving for Christ's victory over sin and death. The meaning of the Resurrection is life. Jesus Christ is alive! Today the Church proclaims a message of great joy. She repeats the proclamation of the angel to the women who came to the to the tomb of Jesus: "You seek Jesus of Nazareth, the crucified. He has been raised; he is not here." The Jesus who suffered, died and was buried is now alive. The word "life" summarizes his Resurrection. Our Easter reflection also draws our attention to the worth of all human life. In restoring life to Jesus, God the Father shows us the incomparable value of all human life. Our Easter challenge is to be alive in Christ and to serve life in all our brothers and sisters. We are at people of life and God asks us to protect, and serve every life, including that of the unborn, and to help one another reach eternal life in heaven. 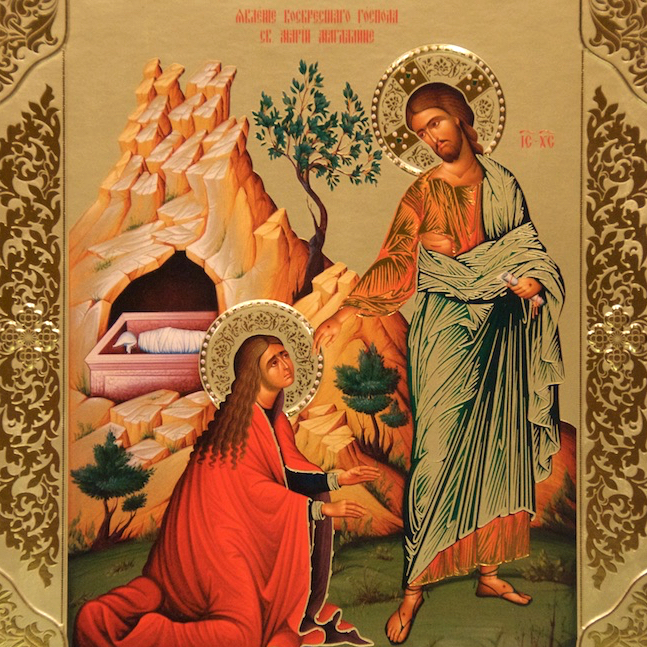 This is the night of the Resurrection of our Lord Jesus Christ and the Church proclaims that he who died on Calvary is now alive. Jesus Christ is risen from the dead. The Easter proclamation is a message of victory and peace. Through the sacrament of baptism we share in Christ's Resurrection. The great challenge of Baptism is to live for God. The Eucharist gives us the power to do so. 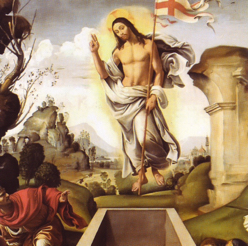 Today the Risen Jesus goes before us, calling us to manifest our faith that he is truly risen and forever alive. 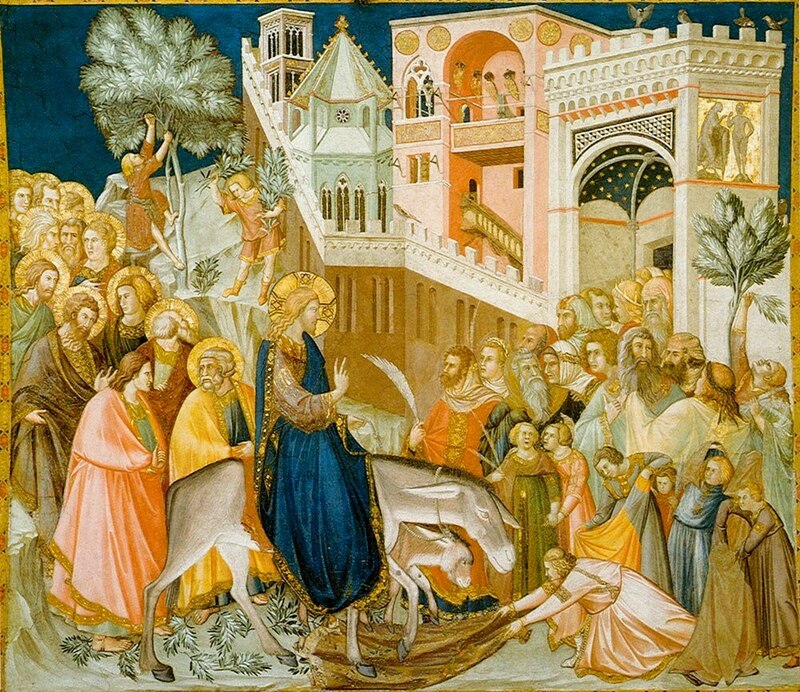 In Lent we have journeyed with Jesus and have now reached Jerusalem. Every aspect of his Passion is explained by Jesus' love for his Father and for us. He suffered and died to destroy our death and restore our life. 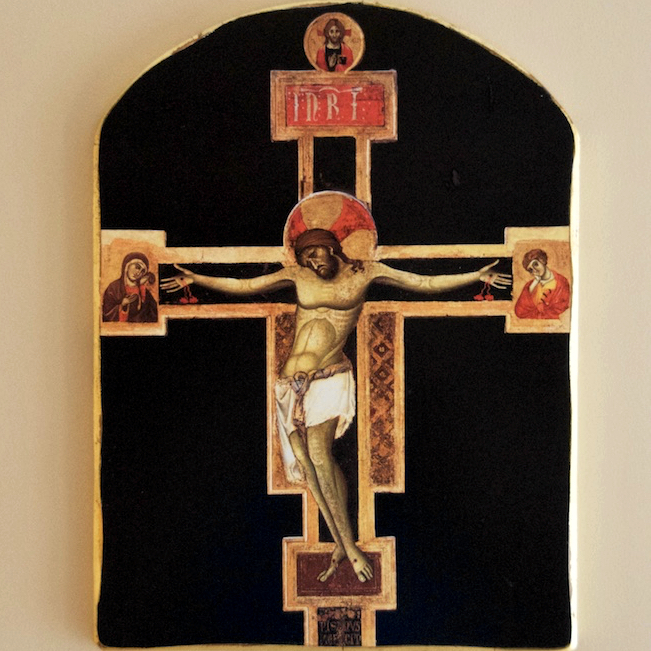 In the Passion of Jesus we find the salvation of our souls. 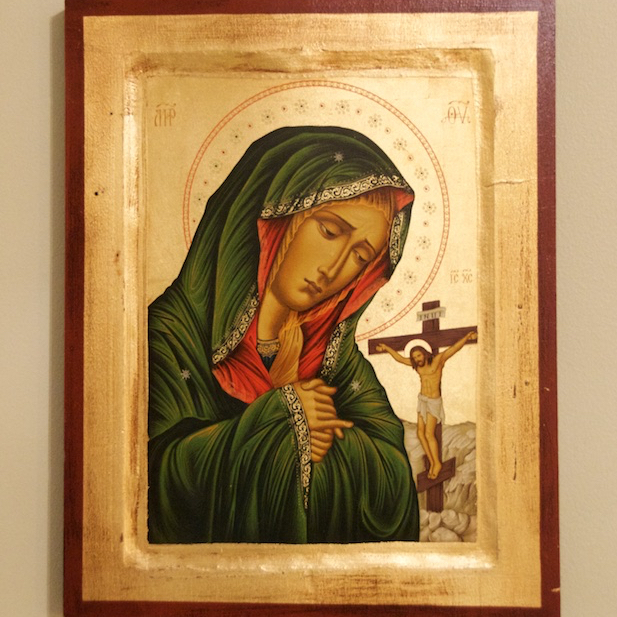 In the alternate collect today, the Church gives us the opportunity to contemplate the Passion of Christ with our Blessed Mother and to reflect on how much she belongs to the mystery of Lent. Jesus gave his life out of love to redeem all the children of Adam. Mary is a daughter of Adam and therefore needed redemption. For all the rest of us, redemption meant liberating us from sin. For our Blessed Mother it meant preserving her from sin. With immense love Jesus died to redeem both Mary and all of us. Having received redemption through the merits of Christ her Son being applied to her in anticipation at the moment of her Immaculate Conception, Mary now helps the rest of us in our struggle to overcome the power of the evil one. We praise Jesus for what his redemption means for his Mother and for us.